The electrodynamometer type instrument is a transfer instrument. A transfer instrument is one which is calibrated with a d.c. source and used without any modifications for a.c. measurements. Such a transfer instrument has same accuracy for a.c. and d.c. measurements. The electrodynamometer type instruments are often used in accurate a.c. voltmeters and ammeters, not only at the power line frequency but also in the lower audiofrequency range. With some little modifications, it can be used as a wattmeter for the power measurements. Why PMMC Instruments can not be used for a.c. measurements ? The PMMC instrument cannot be sued on a.c. currents or voltages. If a.c. supply is given to these instruments, an alternating torque will be developed. Due to moment of inertia of moving system, the pointer will not follow rapidly changing alternating torque and will fail to show any reading. In order that the instrument should be able to read a.c. quantities, the magnetic field in the air gap must change along with the change in current. This principle is used in the electrodynamometer type instrument. Instead of a permanent magnet, the electrodynamometer type instrument uses the current under measurement to produce the necessary field flux. The Fig. 1 shows the construction of electrodynamometer type instrument. Fixed Coils : The necessary field required for the operation of the instrument is produced by the fixed coils. A uniform field is obtained near the center of coil due to division of coil in two sections. These coils are air cored. Fixed coils are wound with fine wire for using as voltmeter, while for ammeters and wattmeters it is wound with heavy wire. The coils are usually varnished. They are clamped in place against the coil supports. This makes the construction rigid. Ceramic is usually used for mounting supports. If metal parts would have been used then it would weaken the field of the fixed coil. 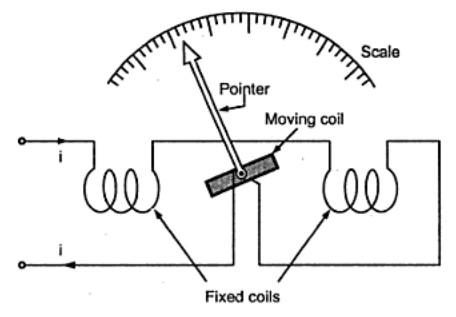 Moving Coil : The moving coil is wound either as a self-sustaining coil or else on a non-metallic former. If metallic former is used, then it would induce eddy currents in it. The construction of moving coil is made light as well as rigid. It is air cored. Controlling : The controlling torque is provided by springs. These springs act as leads to the moving coil. Moving System : The moving coil is mounted on an aluminium spindle. It consists of counter weights and pointer. Sometimes a suspension may be used, in case a high accuracy is desired. Damping : The damping torque is provided by air friction, by a pair of aluminium vanes which are attached to the spindle at the bottom. They move in sector shaped chambers. As operating field would be distorted by eddy current damping, it is not employed. Shielding : The field produced by these instruments is very weak. Even earth's magnetic field considerably affects the reading. So shielding is done to protect it from stray magnetic fields. It is done by enclosing in a casing high permeability alloy. Cases and Scales : Laboratory standard instruments are usually contained in polished wooden or metal cases which are rigid. The case is supported by adjustable levelling screws. A spirit level may be provided to ensure proper levelling. For using electrodynamometer instrument as ammeter, fixed and moving coils are connected in series and carry the same current. A suitable shunt is connected to these coils to limit current through them upto desired limit. The electrodynamometer instruments can be used as a voltmeter by connecting the fixed and moving coils in series with a high non-inductive resistance. It is most accurate type of voltmeter. For using electrodynamometer instrument as a wattmeter to measure the power, the fixed coils acts as a current coil and must be connected in series with the load. The moving coils acts as a voltage coil or pressure oil and must be connected across the supply terminals. The wattmeter indicates the supply power. When current passes through the fixed and moving coils, both coils produce the magnetic fields. The field produced by fixed coil is proportional to the load current while the field produced by the moving coil is proportional to the voltage. As the deflecting torque is produced due to the interaction of these two fields, the deflection is proportional to the power supplied to the load. 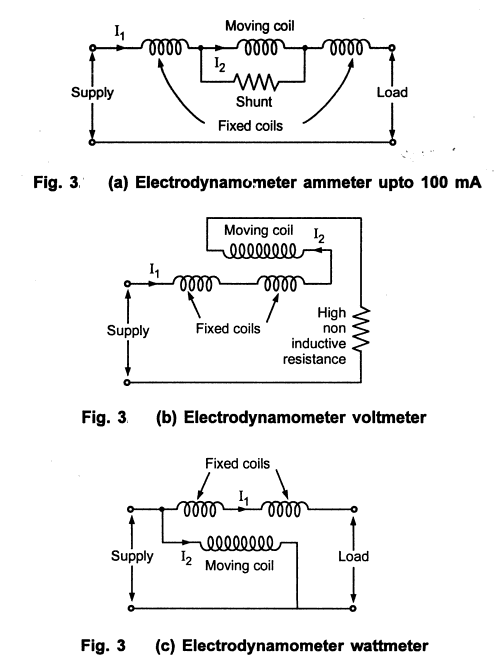 The electrodynamometer instrument can be represented by an equivalent circuit as shown in the Fig.2. 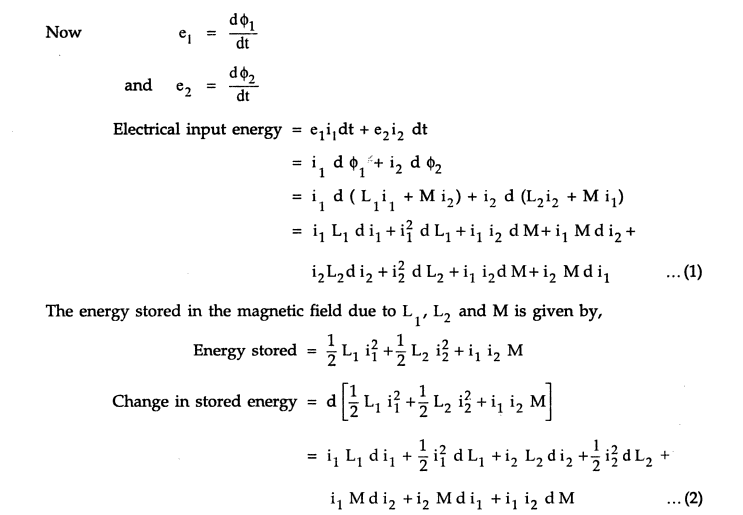 The self inductance L1 and L2 are constant and hence dL1 and dL2 are zero. This is the expression for the instantaneous deflection torque. Let us see its operation on a.c. and d.c. Thus the deflection is proportional to the product of the two currents and the rate of change of mutual inductance. A.c. operation : In a.c. operation, the total deflecting torque over a cycle must be obtained by integrating Ti over one period. Thus the deflection is decided by the product of r.m.s. values of two currents, cosine of the phase angle (power factor) and rate of change of mutual inductance. For d.c. use, the deflection is proportional to square of current and the scale is nonuniform and crowded at the ends. For a.c. use the instantaneous torque is proportional to the square of the instantaneous current. The i2 is positive and as current varies, the deflecting torque also varies. But moving system, due to inertia cannot follow rapid variations and thus finally meter shows the average torque. Thus the deflection is the function of the mean of the squared current. The scale is thus calibrated in terms of the square root of the average current squared i.e. r.m.s value of the a.c. quantity to be measured. If an electrodynamometer instrument is calibrated with a d.v. current if 1 A and pointer indicates 1 A d.c. on scale then on a.c., the pointer will deflect upto the same mark but 1A in this case will indicate r.m.s value. Thus as it is a transfer instrument, there is direct connection between a.c. and d.c. Hence the instrument is often used as a calibration instrument. The Fig. 3(a), (b) and (c) shows the connections of the electrodynamometer instrument as ammeter, voltmeter and the wattmeter. 1) As the coils are air cored, these instruments are free from hysteresis and eddy current losses. 2) They have a precision grade security. 3) These instruments can be used on both a.c. and d.c. They are also used as a transfer instruments. 4) Electrodynamometer voltmeter are very useful where accurate r.m.s values of voltage, irrespective of waveforms, are required. 5) Free from hysteresis errors. 1) These instruments have a low sensitivity due to a low torque to weight ratio. Also it introduces increased frictional losses. To get accurate results, these errors must be minimized. 2) They are more expensive than other type of instruments. 3) These instruments are sensitive to overload and mechanical impacts. Therefore can must be taken while handling them. 4) They have a nonuniform scale. 5) The operation current of these instruments is large due to the fact that they have weak magnetic field. 1. Torque to weight ratio : To have reasonable deflecting torque, mmf of the moving coil must be large enough. Thus m.m.f. = NI hence current through moving coil should be high or number of turns should be large. The current cannot be made very high because it may cause excessive heating of springs. Large number of turns hence is the only option but it increases weight of the coil. This makes the system heavy reducing torque to weight ratio. This can cause frictional errors in the reading. 2. 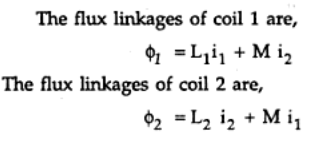 Frequency errors : The changes in the frequency causes to change self inductances of moving coil and fixed coil. This causes the error in the reading. The frequency error can be reduced by having equal time constants for both fixed and moving coil circuits. 3. Eddy current errors : In metal parts of the instrument the eddy current gets produced. The eddy current interacts with the instrument current, to cause change in the deflecting torque, to cause error. Hnec metal parts should be kept as minimum as possible. Also the resistivity of the metal parts used must be high, to reduce the eddy currents. 4. Stray magnetic field error : Similar to moving iron instruments the operating field in electrodynamometer instrument is very weak. Hence external magnetic field can interact with the operation field to cause change in the deflection, causing the error. To reduce the effect of stray magnetic field, the shields must be used for the instruments. 5. Temperature error : The temperature errors are caused due to the self heating of the coil, which causes change in the resistance of the coil. Thus temperature compensating resistors can be used in the precise instrument to eliminate the temperature errors. This is great one to see your blog last time I see same design to my friend constraction building in chennai. Majorly used Aluminium scaffolding equipment used for glass room design. Really very gud looking.